On February 9 we followed up on a few reports that we hadn't been able to chase yet. 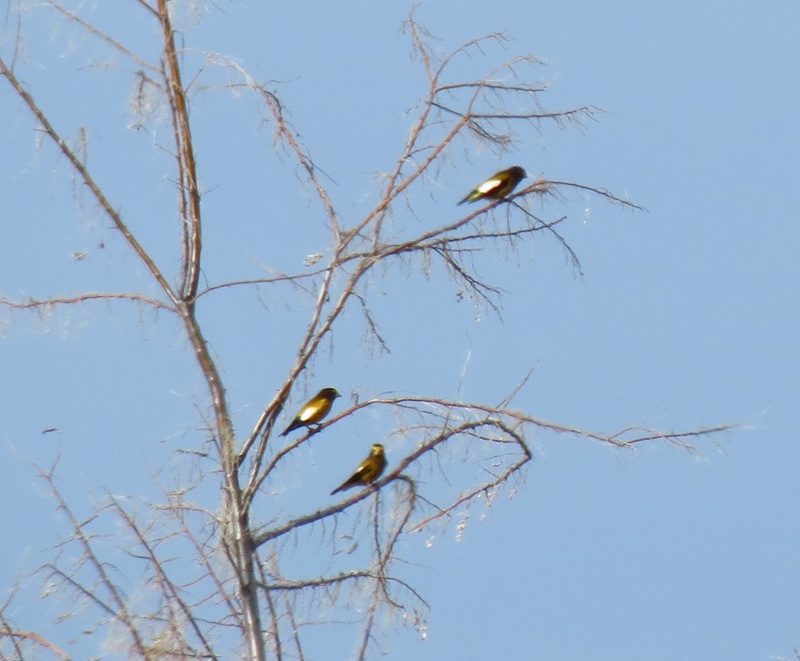 First were the Evening Grosbeaks at Eagle Island State Park. A few other birders had been seeing a flock of grosbeaks at the park for several weeks, with one particular report for a flock of 200+. 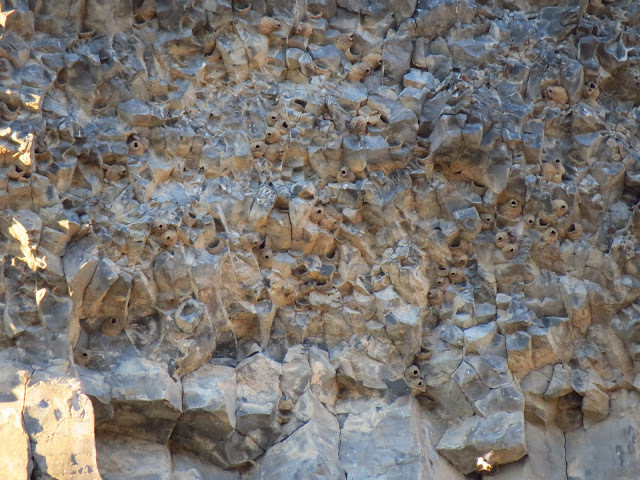 We made a few attempts to find them, and luckily did on our third try. Evening Grosbeaks. Eagle Island State Park, Ada County. February 9, 2013. Next we stopped by a residential pond in Eagle that had been hosting a Eurasian Wigeon for a few days. On our first pass there were no wigeons in sight, but several people had mentioned that the wigeons were coming and going to/from a few other ponds in the area, and our second pass 45 minutes later was successful. 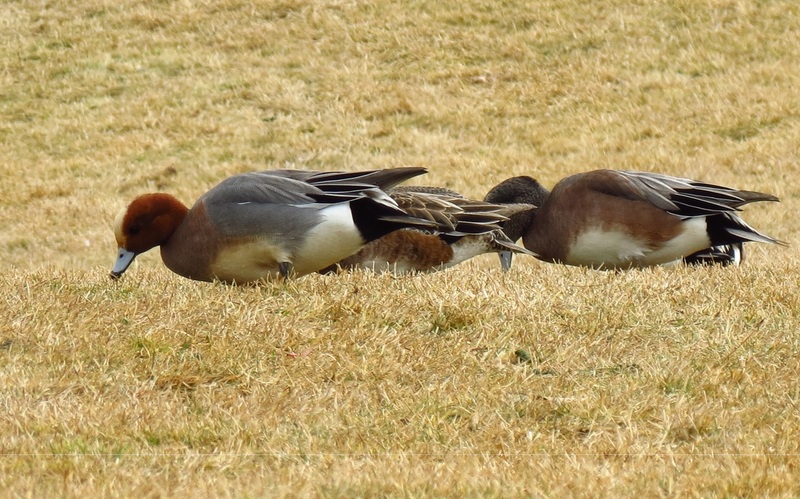 Eurasian and American Wigeons. Floating Feather Rd, Ada County. February 9, 2013. 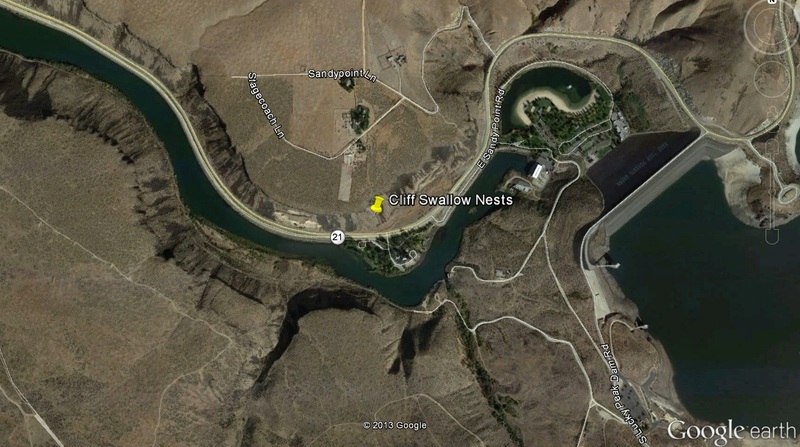 Other highlights of the day include a heard-only Bewick's Wren that's been hanging out near the Avimor neighborhood on highway 55 north of Eagle, and a good variety of waterfowl along the Snake River between Marsing and Celebration Park. 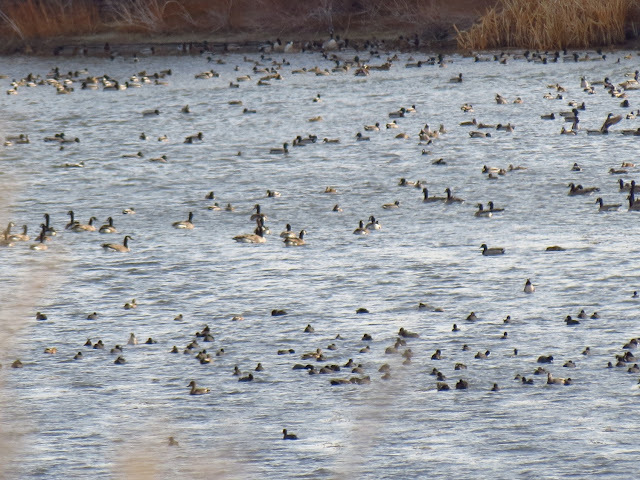 Assorted waterfowl. Snake River - Plum Lane Overlook, Canyon County. February 9, 2013. Towards the end of the day we "enjoyed" harrowing ride on a jeep road that was in much worse condition than we were expecting. To add a little excitement to the already nerve-wracking ride, we happened to be passing by just as the local police were arriving to take a look at a murder victim's jeep that had been pushed into the river. 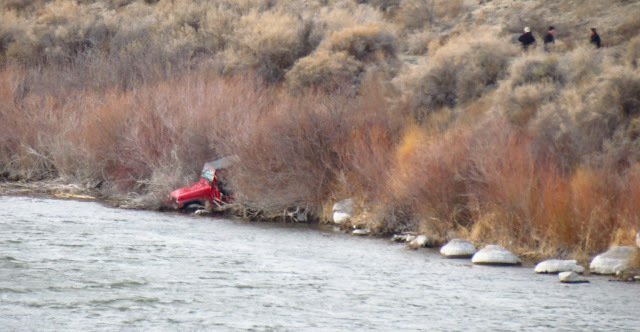 Jeep pushed in to the Snake River. Celebration Park, Canyon County. February 9, 2013.